Marketing major Tyler Sloan, for example, recently returned from East Africa where he analyzed social and environmental problems at close range that otherwise can only be learned in the abstract. His Juniors Abroad trip focused on the endangered wildlife of East Africa, with opportunities to explore a variety of ecosystems including jungles, tropical rainforests, tea plantations, savannas and marine habitats. See Sloan’s spectacular photos to get a glimpse into his experience. 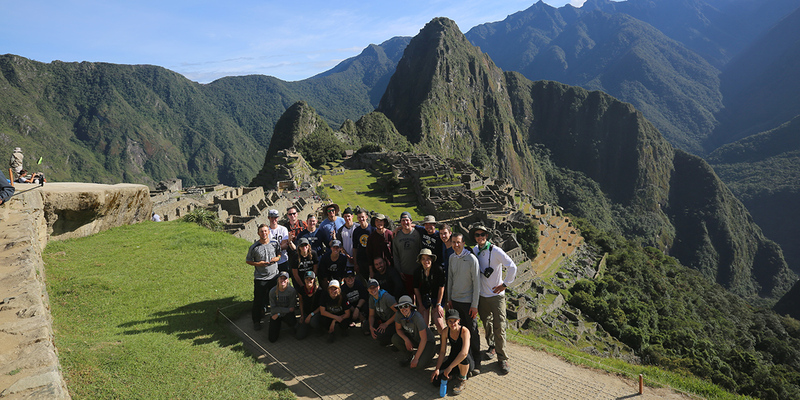 In fact, Juniors Abroad, one of many Student Fund-supported programs, sent more than 300 students, faculty chaperons and family members to 14 international study trips all over the world – including South Africa, Central America, Europe, India and Australia – for three weeks in May. The Student Fund helps George Fox cover transportation and program costs associated with the program. Learn more about Juniors Abroad here. Your generous support ensures hardworking students have the resources and opportunities to grow into effective change agents at George Fox. Give today. Be known for the difference you make!